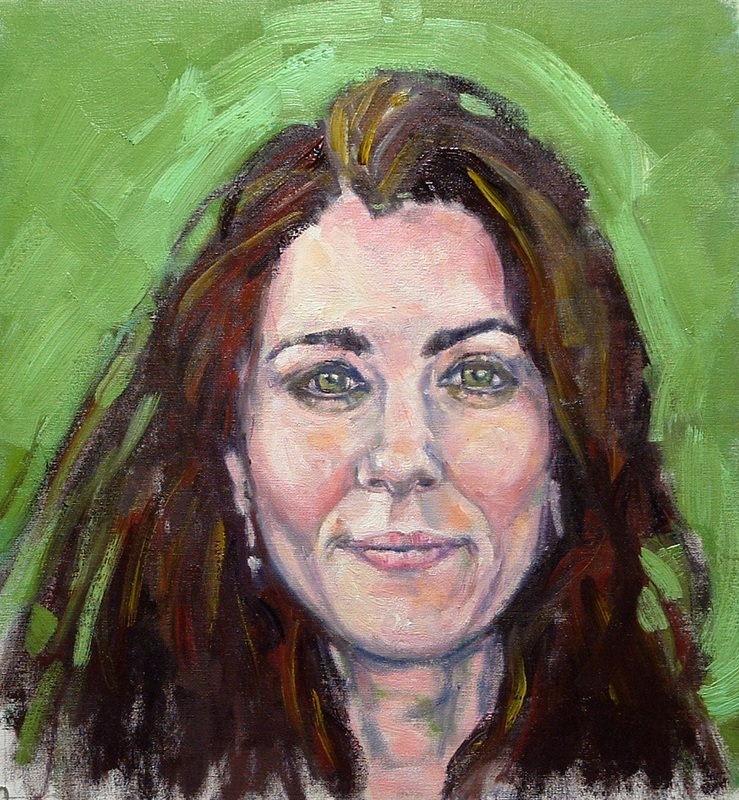 I completed this portrait more than two years ago in response to an artist group's request for an alternative Duchess of Cambridge portrait. 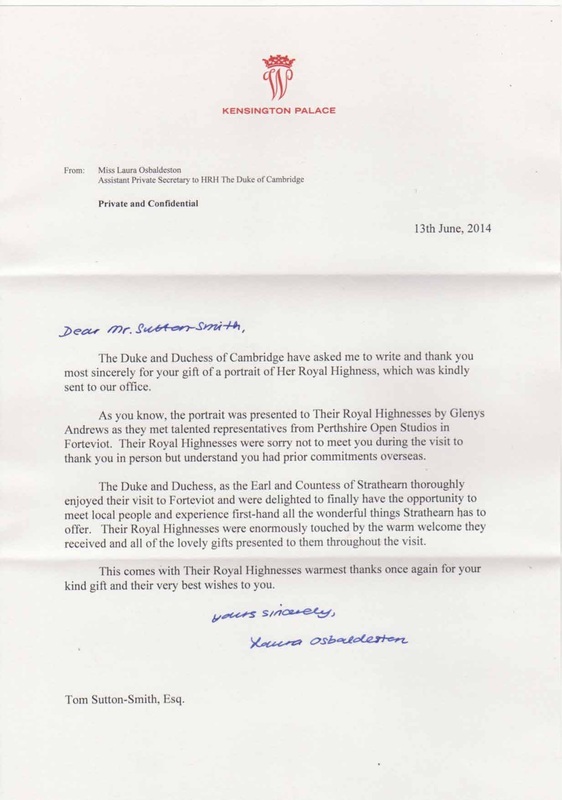 Who could have predicted that on May 29 2014 the portrait would be presented to the Duke and Duchess at an art exhibition in Forteviot, by Glenys Andrews, on behalf of Perthshire Open Studios. The exhibition was convened to mark the visit of The Duke and Duchess to the Strathern region in their official roles as the Earl and Countess of Strathern. At the time of the presentation the Royal couple appeared to be delighted with the portrait and the letter above seems to seal their approval. Since the presentation the media coverage has been phenomenal.